Earlier this month, I was back home on vacation and got to play some of my dad’s guitars. I recorded this on a (if I remember correctly) 59′ replica Fender Custom Shop Stratocaster. 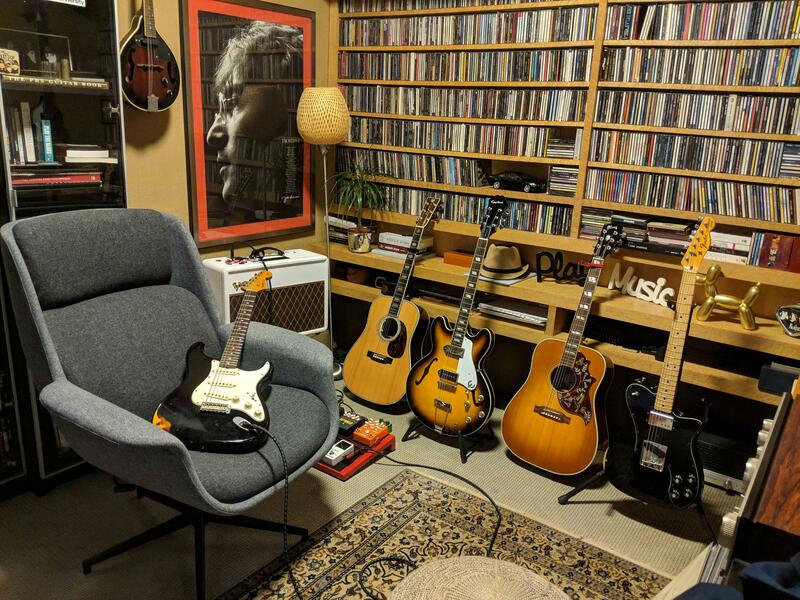 In the background, from left to right are: a Martin D-45, a Japanese-made Epiphone Casino, a Gibson Hummingbird, and another custom shop Telecaster Deluxe.